Inspiration is thin on the ground. Or at least, energy and willingness to do anything deep and detailed. You don’t give yourself enough credit. 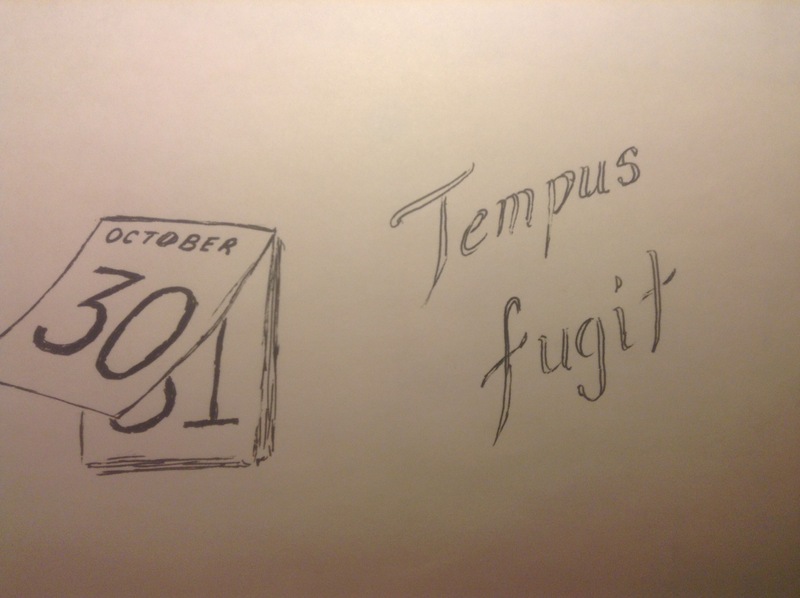 Not only was this inspired, but it inspires terror in all of us running out of time :D.
Calendar pages to show the passage of time are a cliché stolen from film. 😉 Thanks for the kind words, though.